The grass is greener in the Stevens Point Area! We are the outdoor adventure headquarters with trails and parks that are guaranteed to impress. 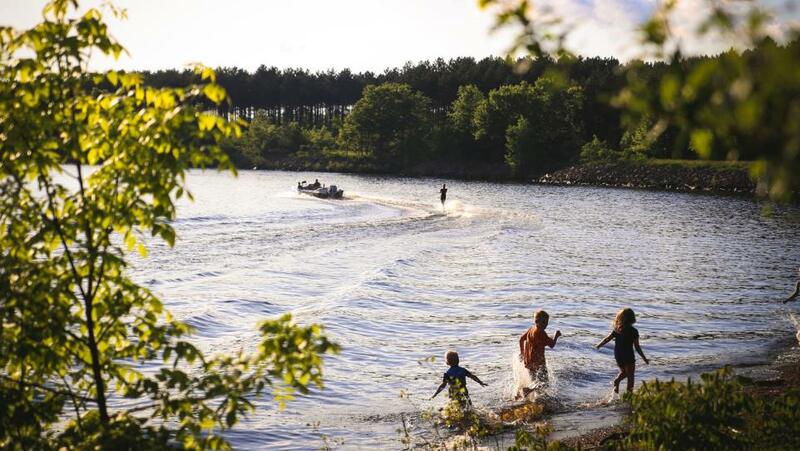 Don’t let summer slip by without checking these hot-spots off your bucket list! The Tomorrow River State Trail spreads between the Village of Plover and Manawa. It offers 24 miles of scenic glacial terrain and picturesque farm country. The trail is open to bicyclists, hikers, joggers, and horseback riders. Daily passes are $4. TIP: In the winter, the trail is open for snowmobiling, cross-country skiing and snowshoeing. Standing Rocks County Park is located on 524 acres, just seven miles east of the Stevens Point Area. The park features 13 miles of rolling trails for hiking and biking as well as a disc golf course and dog exercise area. Bear Lake is nearby and makes for an excellent fishing spot. Trail passes are required and available at the trailhead. TIP: With so much to do, use this map to help you navigate the park! The Green Circle Trail boasts 27 miles of hiking and biking with breathtaking views of wetlands, rivers, and forests. 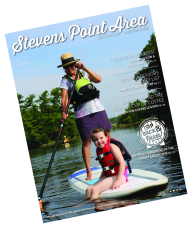 The trail loops around the Stevens Point Area and connects with over 20 miles of additional trails. If you’re planning on biking at a leisurely pace, the main loop will take approximately three hours. Visit the Green Circle Headquarters in the Schmeeckle Reserve for trail info, restrooms, and free parking. Combine your appreciation for art with your love of the outdoors by exploring the Stevens Point Sculpture Park. Delve into the winding forested trail and discover artwork from local, regional, and national artists. Each sculpture is replaced after three years, so you are sure to find something new each summer. The park is open from sunrise to sunset and admission is always free. TIP: If you&apos;re visiting after a heavy rainfall you will want to bring bug spray. Spending your day at SentryWorld’s award-winning 18-Hole golf course is the best way to enjoy the outdoors in luxury. The 16th hole is home to over 33,000 flowers and has become known as the iconic “Flower Hole”. Can’t beat the rain? Sentry World has you covered! Head inside to work on any part of your game at the indoor range or check out the state-of-the-art golf simulator. TIP: SentryWorld offers golf lessons for individuals of all ages and skill levels. Visit their website for more information.